I was in middle school, living my best life as a tween girl who just got her braces off while others were still getting them on, when my best friend Jenna opened my eyes to three curly-haired heartthrobs that would turn my world upside down. It sounds dramatic, but it’s true. 2007 through 2009 were the years I peaked – in terms of fangirl status, not hair. 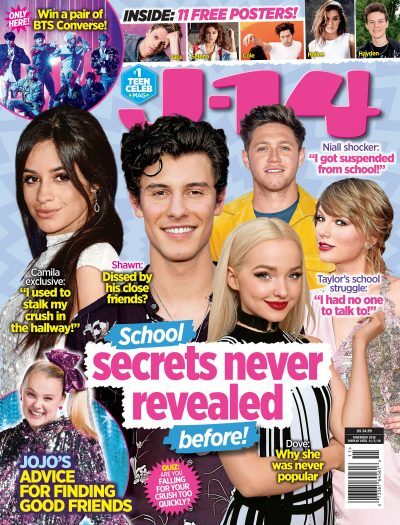 From that day forward, I spent legit every waking moment of my life outside of school and sports lurking on fan sites and flipping through issues of J-14 Magazine until I could legit recite their quotes off hand. My bedroom walls were entirely plastered with posters of Nick, Joe and Kevin (with sprinkles of Demi Lovato and Selena Gomez). And of course, I’d watch and re-watch the skits they’d post online to the point where my friends and I would use their punchlines in conversation – on AIM and IRL. Saying you’re a fan of the Jonas Brothers these days is basically like saying that you’re living in the past – like totally trapped in 2007. But listen, this fandom stands the test of time. It’s one of true passion, dedication and support. I already knew my mother was a saint, but she really proved herself to be supportive of me and my obsessive tendencies when she woke up at 3 AM to bring my friends and me to New York City. We didn’t meet them that day, but we did get to watch them through the glass windows of Good Morning America while freezing our butts off in the harsh winter air. Yup, we were that obsessed. Now that the sting of their breakup has subsided after all these years, it’s easier to understand and come to terms with. I totally get it. Disney Channel stars typically make pretty big career turns after growing out of the children’s network, and to this day, I’m sure they’re grateful. It’s Disney and their fans like me – who helped them skyrocket to fame. And that is precisely the reason why I think they could have thrown us fans a bone by just sticking it out for that fifth album – you know, the album that never got released. Sure, the boys have all gone their separate ways – but just like they will always be brothers, a Jonas Brothers fan will always be a fan for life. Seriously though, even now, I could still totally fall into a trap of watching their hilarious skits from the beginning of time. And who could forget those early interviews, in which Joe refused to take even one question seriously? I’d like to believe they cherish those days as much as former fangirls like I do. I’ll always look back on the Jonas Brothers chapter of my life with nothing but pure joy and nostalgia. However, I will never quite get over the fact that by breaking up, they truly took my heart and put it on a shelf.